Marjo is a wholesale jewellery supplier based in the UK. We specialise in silver and we offer the largest range of natural gemstone jewellery and plain silver products including silver earrings, silver bracelets, silver pendants and silver necklaces. Check out the Marjo Blog for latest news. We are the wholesale silver jewellery specialists, supplying silver jewellery to over 2000 retail accounts. Our range currently includes over 50 different types of gemstone including: pearl, amethyst, turquoise and cubic zirconia. We have 11 different lines of design ranging from Classic day-to-day models to bold one-off items. 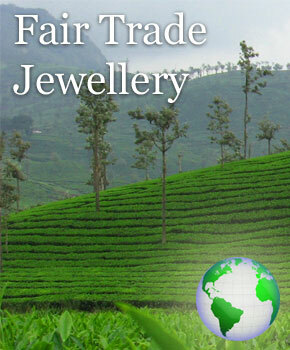 We are fair trade jewellery suppliers and many Retailers such as gift shops, jewellers, museums or crystal shops opt for our wholesale silver jewellery safe in the knowledge they are stocking ethical and fair trade jewellery. Our distribution network stretches across the UK and Ireland through our network of agents and direct sales teams. Our wholesale jewellery range covers all products from silver and gemstone necklaces, bracelets, and pendants to chains and bangles in both gem-set and plain silver. Set up in 1984 we are on of the UK's leading wholesale silver jewellery companies and have always aimed to bring the beauty and diversity of the worlds' semi precious gemstones to the reach of every-day wear. Marjo will have the right piece of wholesale silver jewellery to enhance your retail collection. At a time of sky rocketing silver prices Marjo still provides affordable jewellery in a precious metal. From a simple silver pendant to complete sets, Marjo has something that will suit your customers. You can take a quick peek at our jewellery, or sign up for a free account and view all the range in our complete online catalogue. With the diversity of our models and stones, Marjo has options to suit every occasion, season, age and budget. Our wholesale jewellery is sure to have something suitable. You can download our brochure if you are interested in glancing at our collection, or request a member of our sales team to contact you.